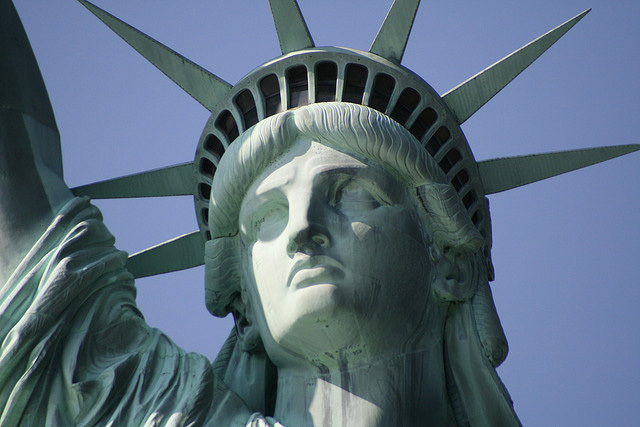 Statue of Liberty; photo by Andrew Anderson on Flickr (noncommercial use permitted with attribution / share alike). 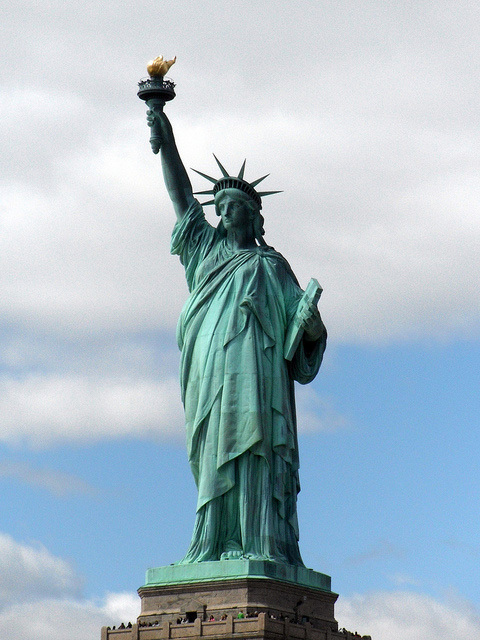 The Statue of Liberty has welcomed over 12 million immigrants entering the USA through New York harbor. She is now visited yearly by millions of admirers from all corners of the Earth. Statue of Liberty's face; photo by Vincent on Flickr (noncommercial use permitted with attribution / no derivative works).